ATTENTION! 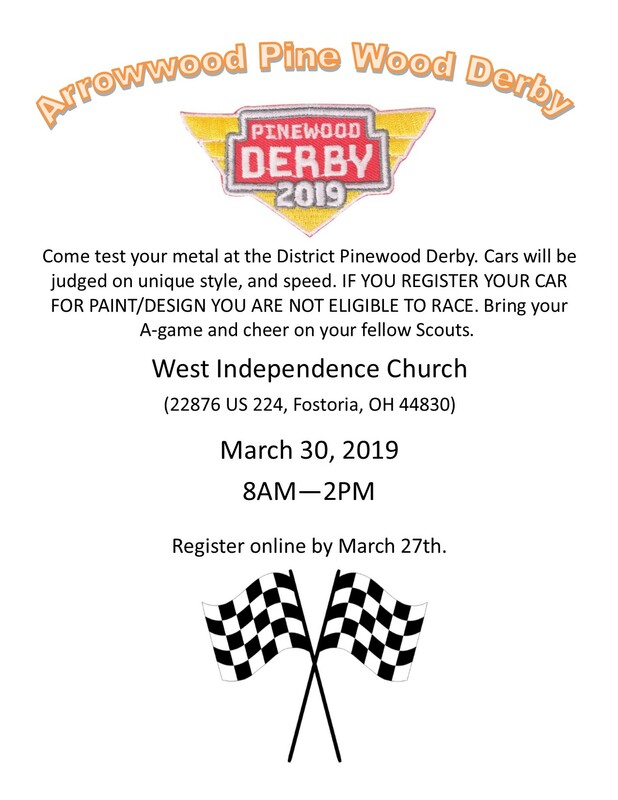 The following is the registration schedule of the Pinewood Derby Races. Races will start shortly after registration. If you are registering as a Paint/Design car you will register in the morning and your car will be judged after the Tiger’s race. IF YOU REGISTER FOR PAINT /DESIGN YOU ARE NOT ELIGIBLE TO RACE. There will be no Lion race! Lion’s may feel free to race at their unit derby race.